Well for today's card, I found a GREAT sketch that helped me utilize more of my mandala stamps. I was going to put flowers instead of mandalas but I just couldn't help myself. :) They remind me of that toy Spirograph when I was little--and guess what? They just released this toy on the market again. I'm sure it won't be anything like the real thing, but it does look like the closest thing to it that I've seen yet. Margaret this is absolutely stunning hon! The mandalas are perfect for this and I love the colors! 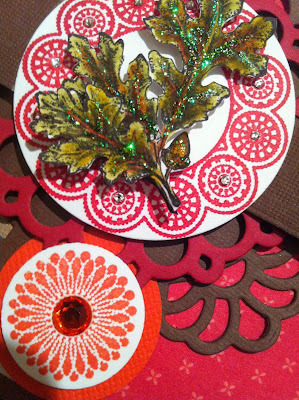 Thanks for joining us this week at Jo's Scrap Shack for FFC#24! This is lovely! I remember the Spirograph! I loved using that to make cards back when I was a kid. Thanks for joining us for our Cut it Up Thanksgiving Challenge! Love the title! Made me curious to see what you have done. I agree with CIUCB, it does look like Spirograph!!! 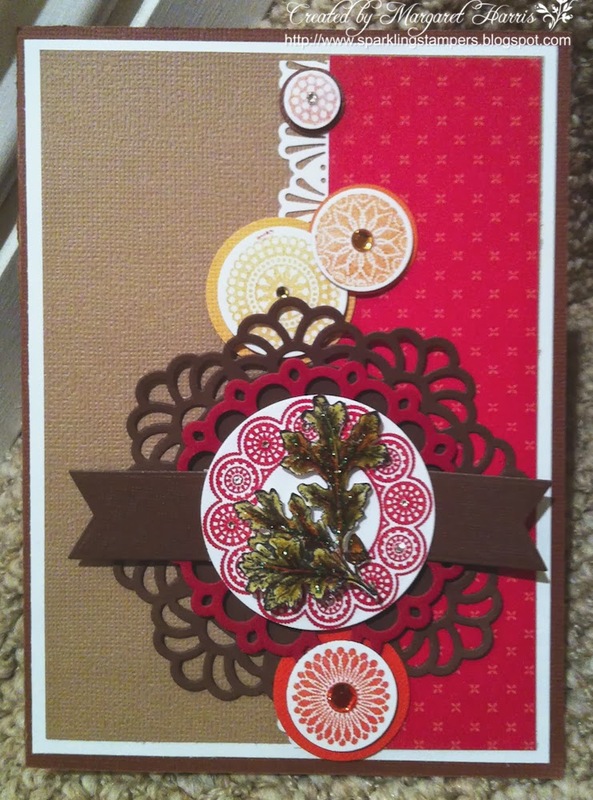 Great card, super colors, fun circles!